What would you say if someone told you that you could add beauty and health benefits to your space, with little effort on your part? Wouldn’t you jump at the idea? Of course, you would! That’s exactly the goal of interior plantscaping. Incorporating plants into your indoor environment can make a major impact on your mood and health. Knowing what plants work in your space is overwhelming. There are so many options to choose from, and ongoing maintenance can be daunting. That’s where an interior plantscaping company comes in. With years of experience with not only maintaining healthy plants but the design eye to know where to place them, our designers and technicians take the guesswork out of it for you. Living walls can include more than just moss. Explore a variety of textures and colors with an interior plantscaping designer. Getting started is easy. Our design consultants will come out and evaluate your space–lighting, plant preferences, space available, and overall aesthetic. 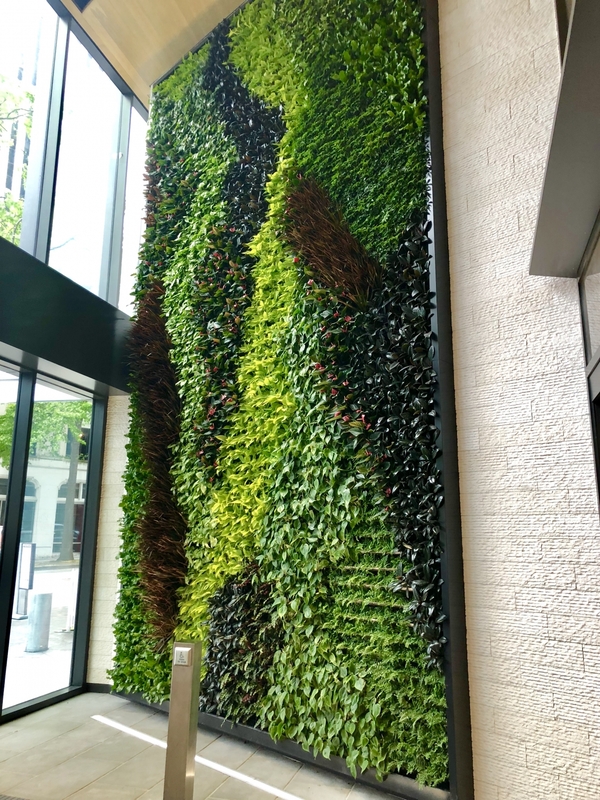 They will design a plan that works for you, whether that means living plants in a variety of vibrantly colored or neutral planters, a living wall, or replica plants, and implement that plan. After the design is complete, our technicians will make sure that your investment is well maintained by cultivating your installations to keep them looking fresh and healthy. Plantscaping isn’t just our name; it’s our passion. If you want to add a pop of color and a feeling of serenity, our plant experts know what you need and how to take care of it. Your employees and clients will feel the difference as well as see it. But don’t struggle with design and care yourself–lean on our years of experience. Let us do the hauling and planting while you enjoy the benefits. 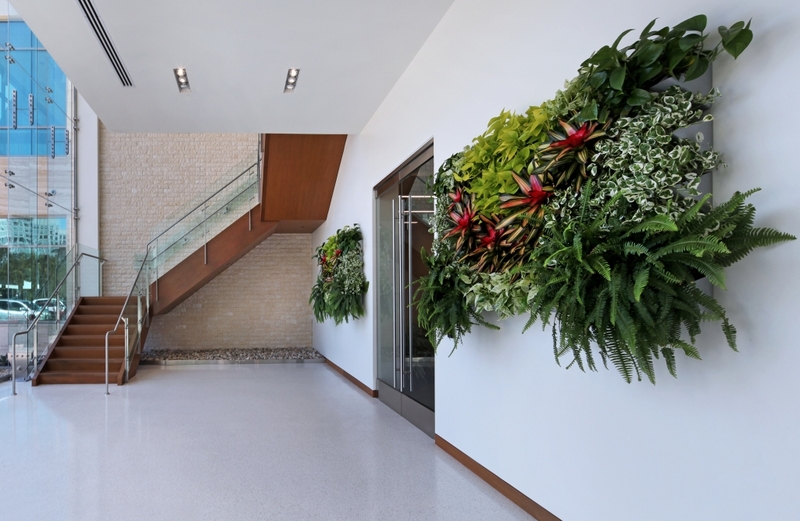 For ideas and examples of what interior plantscaping can do for your home, office or corporate headquarters, explore GreenPlantsForGreenBuildings.org for examples. And when you’re ready to feel great in your space, call a professional!